What type of church is Solid Rock Phoenix? 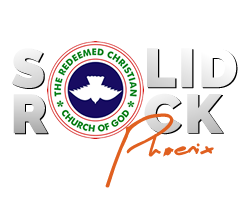 Solid Rock Phoenix is a non-denominational church. What is the church physical address? How do you become a member of Solid Rock Phoenix? We do not have a formal membership process. At Solid Rock Phoenix, membership means commitment– us to you and you to us. Our commitment is to encourage you to know Jesus Christ and to grow in your relationship with Him. We want to minister to every area of your life and encourage you to tap into what God purposed for your life so you can live an abundant, fulfilling life. We expect you to be committed to our vision and mission, to be involved in at least one ministry and to demonstrate good financial stewardship by giving financially to support God’s work through Solid Rock. RCCG is The Redeemed Christian Church of God, a Bible believing family of churches to which Solid Rock belongs.